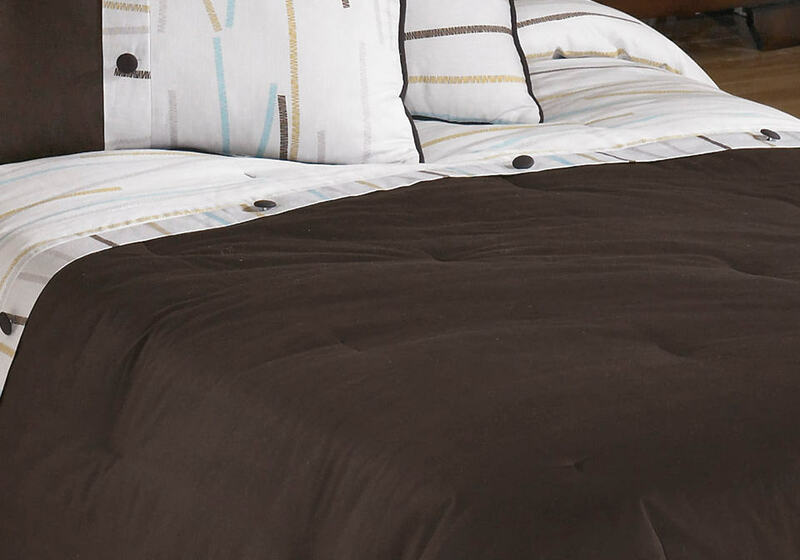 5-Piece Comforter – Includes Comforter, 1 Bedskirt, 2 Standard Shams (1 in Twin), and 2 Accent Pillows. Stripe Design in Brown, Blue, Yellow, and White. Cotton. Dry Clean Only.